Cupids delight is an English Gardens original. A glass bubble bowl of roses and spray roses supported by a wonderful mix of greens. Premium pricing will upgrade this basic bubble bowl into this magnificent mercury bowl for a keepsake that will create long lasting memories. Cupids delight is an English Gardens original. 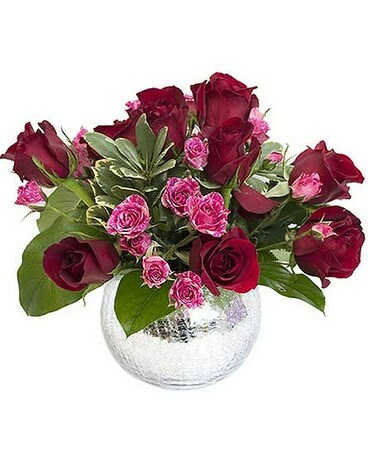 A glass bubble bowl of roses and spray roses supported by a wonderful mix of greens. Premium pricing will upgrade this basic bubble bowl into this magnificant mercury bowl for a keepsake that will create long lasting memories.